I end most evenings reading a book (usually 3 or 4) to Indy in a rocking chair beside her bed. She has lots of favorite books: The Gruffalo, The Napping House and Little Ree just to name a few. I love those books too, but I also love The Giving Tree and Where The Sidewalk Ends and just about anything by Shel Silverstein. He is by far my favorite children’s book writer. Most of his kids books (just like his songs) are wonderful stories told in rhyme and I guess that’s why they appeal to me so much. A couple years ago when the folks at HarperCollins approached me about writing a children’s book, I jumped at the chance. First off, it’s something I’ve always wanted to do, but never really thought I’d get the opportunity. And also, because children’s books and stories are such a big part of my life now… and Indiana’s. She loves ‘reading’ her books to me too. Although she’s mostly just making up words and sounds as she giggles and turns the pages, I know it won’t be long before she’s actually really reading to me, and I can’t wait. 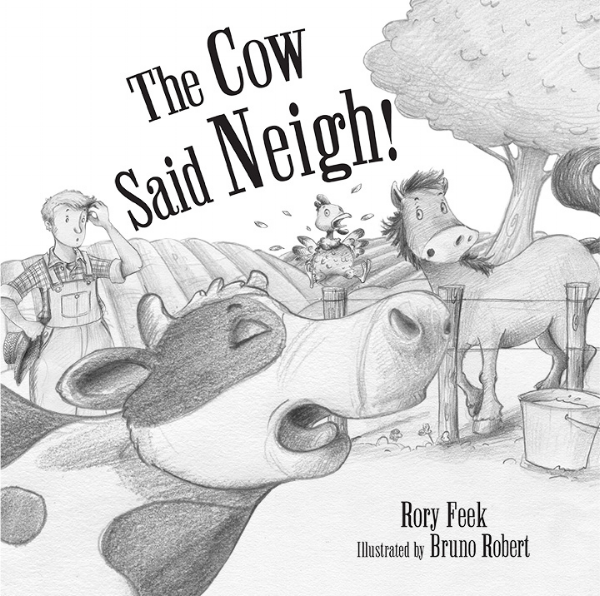 The idea for my children’s book THE COW SAID NEIGH! came from our farm of course, but also from the thought, “what if the cow on the farm wanted to be like the horse?” And then from there, “and the horse wanted to be like the duck?” and on and on. It was so much fun to write, because I had no idea where these funny animals were taking me. In time, them all wanting to be something else, led them (and me) into the farmhouse and all the way to the farmer asleep in his chair. And after that, back to the barn with all the animals and a really sweet ending. Bruno even gave the farmer a Macbook laptop like I use (all gentleman farmers have laptops). In the end, what he, and all the folks at HarperCollins did to make the book special means so much to me. I have loved everything about writing this children’s book and have already been working on a second one, if this book does well enough that I get the chance to do another. The next children’s book is going to be about the farmer’s daughter, Indiana! (shhh…it’s actually already written) . THE COW SAID NEIGH! is available in most stores all across the country and online at Amazon, Barnes & Noble and most other online retailers everywhere. You can also order an autographed copy of the picture-book or board-book version from our webstore if you’d like one.